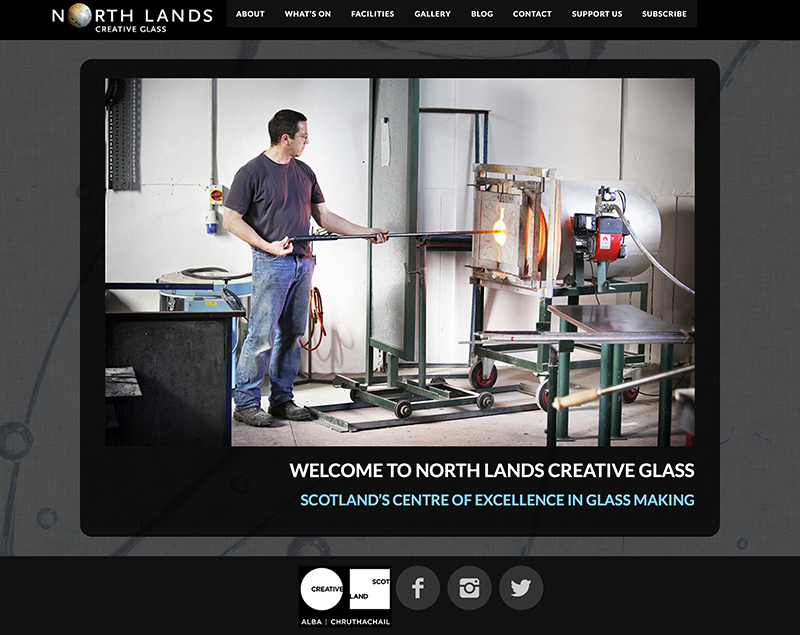 North Lands Creative Glass, based in Lybster, Caithness in north east Scotland, is one of the world’s most prestigious centres for the study and development of glass as an artform. The organistion run an ongoing programme of activities including master classes with renowned artists, glass skills classes, artist residencies, beginner workshops and community programmes. In 2011 after a proposal and presentation process, Skyewebsites were awarded the project to create new brand visuals and a website, and since then we have provided ongoing support to the organisation for their website. Even in that relatively short period of time technology has moved on and we recently completed a re-design of the website to make it mobile-responsive and to provide a better platform for the stunning photographs that the organisation produces. The website continues to be based on WordPress.